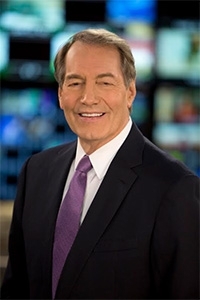 In the Club's latest podcast, Charlie Rose says he has many people to thank for the success he has had as a television journalist. Rose is the 42nd winner of the Fourth Estate Award, which honors journalists who have made significant contributions to their field. Rose hosts the interview program "Charlie Rose" on PBS and Bloomberg Telvision. He also is a co-anchor on "CBS This Morning" and a contributing correspondent to "60 Minutes." Rose said winning the Fourth Estate Award meant "everything" to him. The podcast, Update-1, is a production of the Broadcast Committee. It provides a forum for listeners to learn about newsworthy stories, many originating from the Club or involving Club members. The show can be heard here. All podcasts can be found on the Club website, either on the home page or by clicking on Multimedia and then Podcast. The podcasts also are on iTunes. For information on the upcoming podcasts go to the Club’s Facebook page at facebook.com/pressclubdc. You also can get podcast information by following the Club on Twitter at @PressClubDC. Questions and comments can be emailed to npcpodcast9@gmail.com.